There are few dining room tables that are elegant as well as modern, but that is exactly what the Oslo Dining Table from Moe’s Home Collection is. 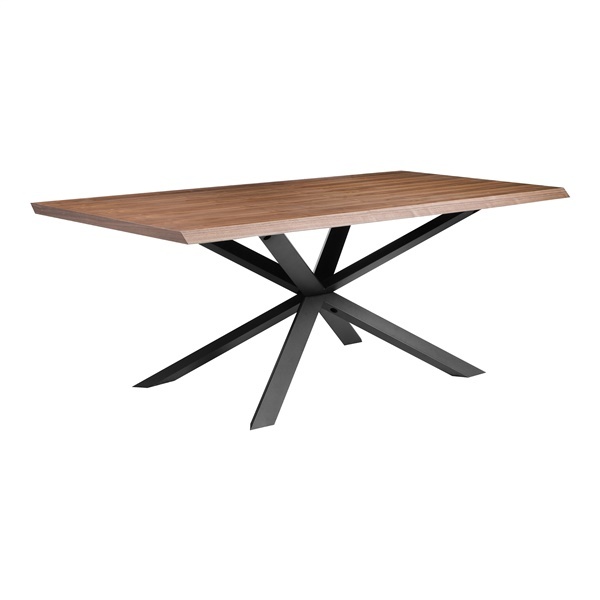 It has a minimalistic, sleek design with a top made from high-quality MDF and a very stylish veneer. Its crisscrossed metal base provides a sculptural, industrial look and six people can comfortably sit at the table. It can be used alone or with the other pieces in the collection. what veneer is on the table top? The veneer on the table top is real walnut. wood veneer.